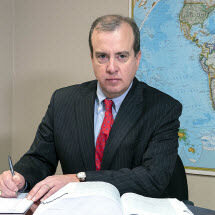 Davis M. Tyler Attorney at Law iHablo Español! The Law Office of Davis M. Tyler, LLC provides immigration and criminal defense representation to clients in Shelbyville, Louisville, Frankfort, Elizabethtown, Lexington, Covington, Danville, Bowling Green and Paducah. In Ohio, this law firm serves the residents of Cincinnati, and in Indiana, communities served include Jeffersonville, New Albany, Shelby County, Jefferson County, Oldham County, Bullitt County, Franklin County, Hardin County, Fayette County, Warren County and Boone County. In addition, this law firm serves clients throughout McCracken County, Kentucky.